Social media is a catalyst for driving sales in the retail sector. It is an effective marketing tool that adds value in the different stages of the sales funnel. Be it strengthening the brand awareness, connecting with the target audience and creating a buzz about the product social media plays a major role. In comparison to other digital channels, social media can fill the gap in the sales cycle. Social Media Data guides in strategy formulation and key to business transformation. Retail businesses with physical or digital storefront or both need to take the social media data seriously. Social data is the wealth that retailers can utilize to explore opportunities that Social Media Analytics provide. As per Yes Lifecycle Marketing, almost 91 percent retailers have their presence on more than couple of social channels. Usually, retailers restrict themselves to setting business pages on Facebook, Google+ or Twitter and count the likes, shares or tweets. But, often fail to align social media trends with marketing campaigns, revenue generation and business expansion. Smart retailers need to realize the potential of Social Media Analytics fast to boost the revenue. Customer sentiment– Understand sentiment trends of customers about product attributes like style, quality and price. Social behavior– Use social data to evaluate prevailing trends and assess the reaction of customers to certain events and products. Analyze unstructured data– Analyze different data sources like existing data and social media platforms and get an insight of the target market. Retailers can now gather data from multiple social media platforms like websites and blogs, analyze it and formulate business strategies to take smart decisions. This advanced analytics makes it easy for retailers to track the conversation of customers on chat forums, blogs and less mainstream channels. They can quantify the presence of a brand on the social media platform and quality of the brand presence. To know the areas that retailers need to look for, see the Social Media Analytics Compass. Empowered with the data, retailers will get an insight of customer behavior and explore market opportunities. The intelligence acquired by this advanced analytics touches the different customer touch points. Advanced analytics let retailers gather customer conversations, capitalize the insights and map content. Collect customer insights fast– Customers buzz about the retail brands be it positive or negative, on the social media. Analyzing the customer-generated media empowers retailers to identify the key influencers of the brand. Social media analytics help retailers to understand how to reach out to the target customers through better planning and behavioral targeting. Capitalize the customer engagement– The conversations in the social media are similar to the focus group discussions in any uncontrolled environment. Data generated by Social Media Analytics is not restricted to the popular social media platforms like Twitter and Facebook. Advanced technology lets the analytics software to capture customer conversations appearing in various blog postings and chat forums. Thus, retailers need to pay heed to these questions and conversations of the customers appearing even in the small platforms as those often influence the real-time decisions. This can be a golden opportunity for the retailers to start a communication between the brands and customers, by providing the latter with useful information and highlighting the call-to-actions which can be measured diligently. Map content– The relationship between brands and customer is essential. For optimal experience, retailers need to facilitate the customers to choose the correct channel to strike the conversation with the brand. Social Media Analytics aids retailers in establishing such a platform. Data generated by analytics will point out the pain points in this regard and let retailers improve it. It also helps in identifying the result of the social media outreach program. Comparing the analytics data with other findings will prove to be fruitful. These three capabilities ensure growth of any retail business. However, to ensure effective business transformation, it is important for retailers to set a business goal and gather social media data likewise. Social media analytics data determines the thin line that differentiates success and failure of any retail company. Two important areas that bring about business transformation are- increase in revenue generation and improve customer experience and engagement. Social media acts as a data bank for retailers – they can learn about the target audience, spread brand message and gather feedback. Analytics data is the driving force that shifts the brand from traditional to digital business models. Customer preference determines the brand relationship or engagement and it aids in transforming the attitude of customers from indecision to “must purchase”. For a seamless and successful transformation of the approach in the retail industry, retailers need to use Social Media Analytics strategically. Social media analytics data is directly proportional to the growth of revenue of a retail company. Analytics predict the problems related to the brand perception among target customers and take proactive steps to improve it. By monitoring the social conversion of customers that are relevant to their community, they can assess the future trend and stay ahead of their counterparts. 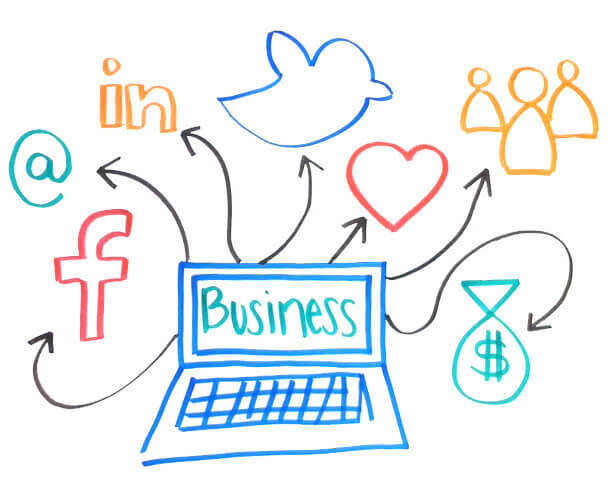 It is a no-brainer that social media influences the purchasing pattern of the customers to a great deal. Real-time insights on the sentiment of customers is important as it helps entrepreneurs to take proper, fruitful actions. Understanding the customer sentiment plays a pivotal role as it shows how the brand performs. A worth mentioning example in this regard is H&M, the international fashion brand. In the competitive retail landscape brand reputation and attention are the most important currencies. The social media insights help in maximizing their potential. Since majority of the data is in an unstructured form it is a must to have a well-crafted strategy for a tangible transformation. Utilizing the data can improve the customer engagement and experience. Predict in advance– On social media customers reveal about their personal preferences, likes, dislikes and taste, through the post or information they share. Understanding the buyer persona help the retailers to highlight the products that are likely to be sold more. Fix the issues fast– Social media is one of the fastest and inexpensive ways to communicate with the global customer. So, analyze the post or chats of the customer, detect their problem and resolve it fast. Individual attention increases customer loyalty and satisfaction. Brands need to address the query and questions of the customers fast. Resolve customer pain points– Analytics, by analyzing various tweets, posts and chats let the retailers and brands to identify the customer complaints and the severity of the same. Now, the retailers can discover the customer pain point and resolve it fast. Delta Air Lines have already implemented Social Media Analytics data to improve business strategy. They had integrated a feature in their application that aids customers find their lost luggage when they spotted such complaints by customers on the social media platforms. Thus, the Social Media Analytics fuel the business transformation process of the retail companies. It is all about observing their customer, anticipating their needs, personalize the experience, improvise the business strategy and boost the revenue growth. Next Next post: Enterprise Mobility will Explore New Opportunities in Future. Here’s How!